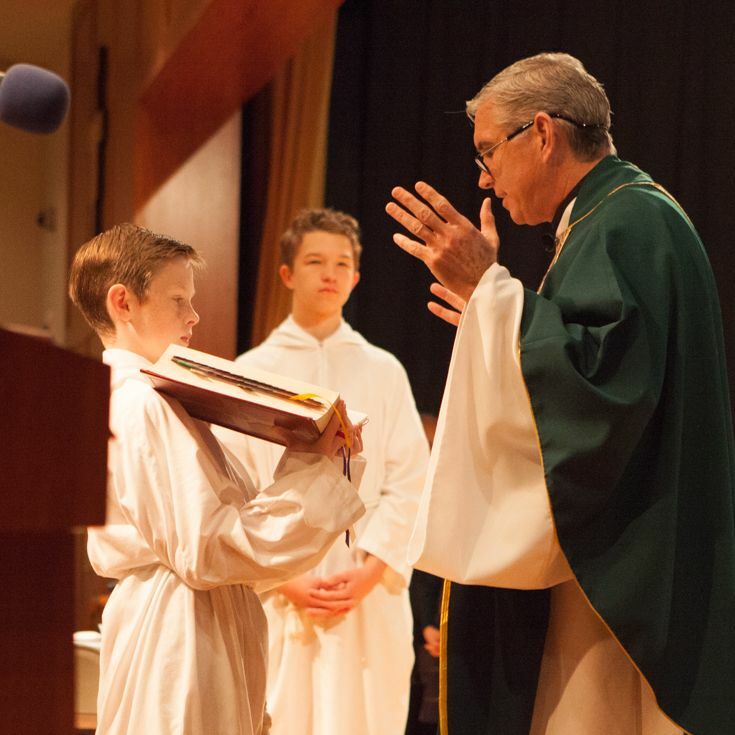 Saint Patrick Catholic School’s Middle School Program empowers students in grades 5-8 through a variety of learning experiences that build the relationships, knowledge, and skills needed to succeed both inside and outside of the classroom. It is through these varied experiences that students become independent learners and thinkers in preparation for success in high school. This is done through addressing the five domains of the Saint Patrick Graduate at Graduation. 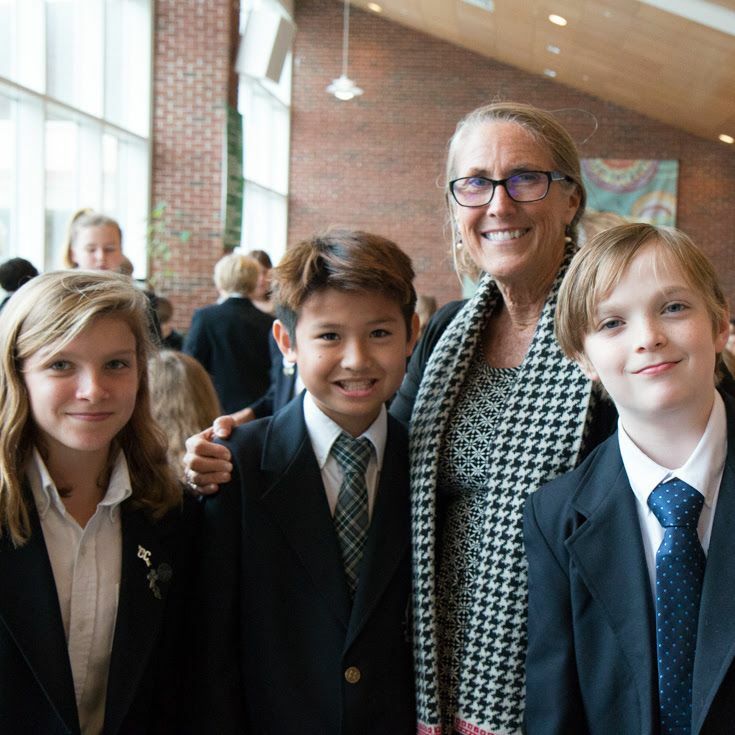 Middle School students are methodical, active learners who are asked to think critically, communicate effectively, and work collaboratively in pursuit of an advanced education. 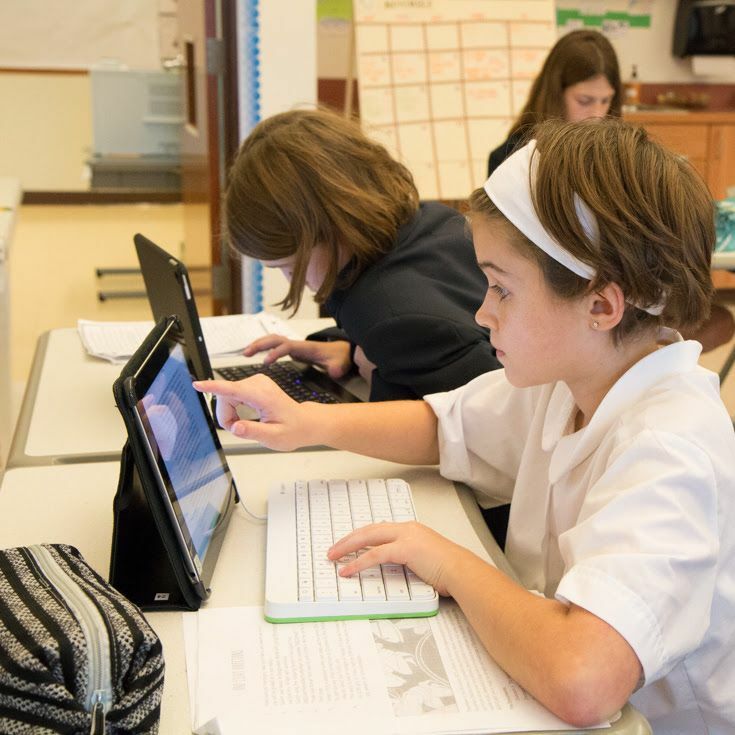 Students are exposed to a rigorous, differentiated academic curriculum at each level including Art, Music, Foreign Language, Physical Education and Religion in addition to the basic core classes. Qualifying students in grades 7 and 8 have the opportunity to graduate with five high school credits. Middle School students participate in highly intentional program offerings including our Advisory groupings, Middle School Activities, daily Assembly, and family style dining. These unique features help foster connections with peers and adults throughout the school community. Students develop a strong sense of self worth and compassion for others which leads to the establishment of meaningful relationships. 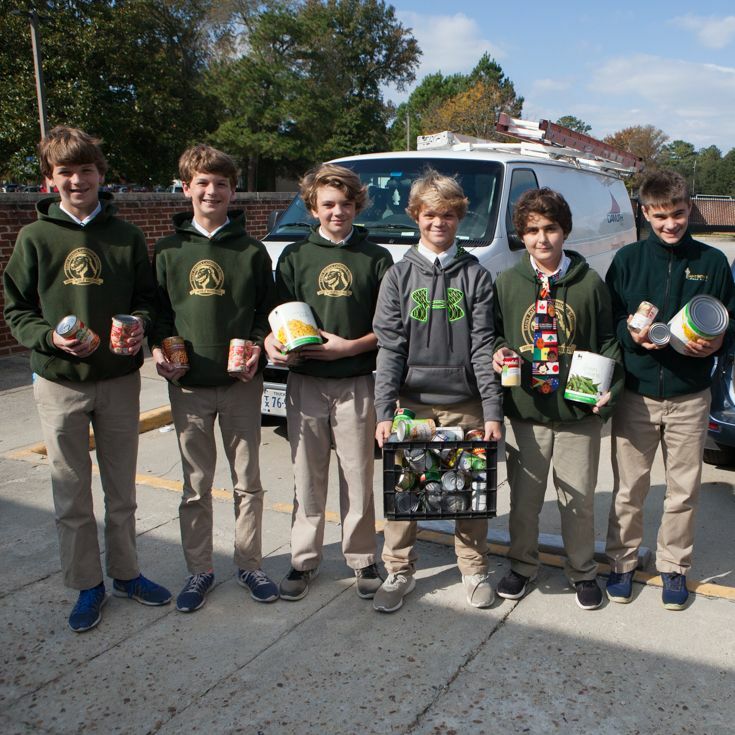 Middle School students learn the principles and skills of Christian Servant Leadership through their active participation in a variety of school-wide and grade-specific service projects. We believe that building servant leaders is the ultimate purpose of education. 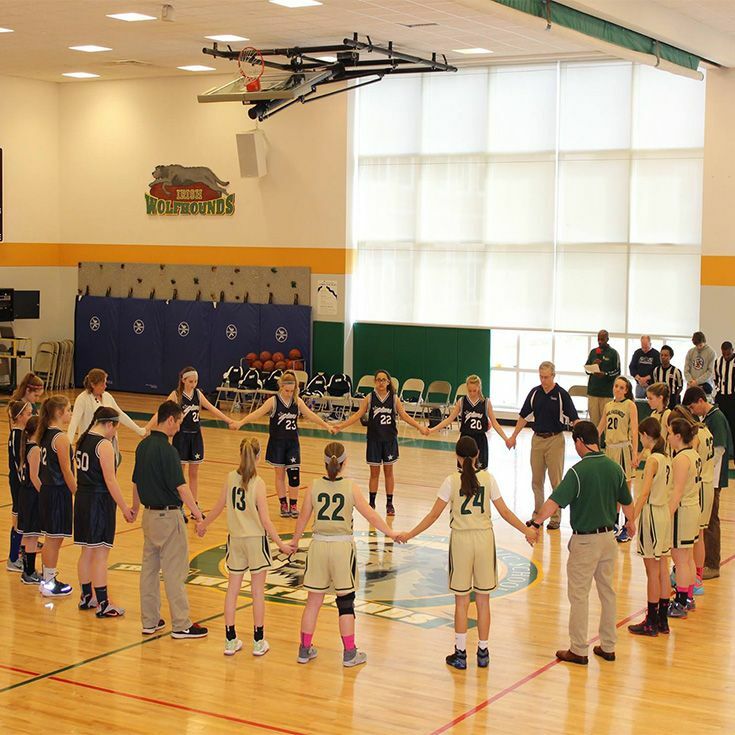 With 74% of the Saint Patrick student body participating in school sports, students learn the values of discipline, perseverance, and courage from participating in athletic events. Middle School students recognize the value of healthful living thanks, in part, to continuing Health education and our Stoplight Lunch program.